Our studio is beginning development on a new kids podcast called Story Seeds! 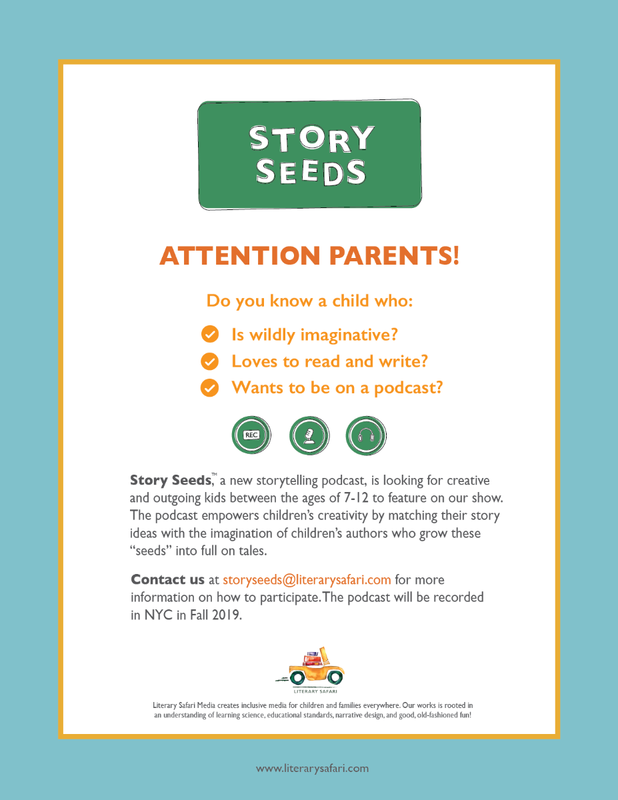 In our first season, the podcast will pair kids and their imaginations with children’s authors who develop these ideas (“story seeds”) into original short stories. We are beginning our search for diverse, creative children to feature on the show. Please share our flyer with the families and educators in your networks. And, if you know a kid who was made for this opportunity, please send them our way! Would love to put out fliers about this opportunity for our patrons at the Lee County Library is Tupelo, MS. I’m thinking this would also make a great young teen program also. It says the podcast will be recorded in NYC in the fall. Do the children selected need to be in NYC? My understanding is that they don’t.